From Pentewan Valley Cycle Hire, you can hire our bikes and cycle the trail all off road to the incredible gardens. In 1990 entrepreneurs looking for land to start a rare breeds farm stumbled across the remains of 167 acres of gardens and woodlands, neglected for half a century. Soon one of Britain's most ambitious restoration projects was underway. The Tremayne family, who still own the Heligan Estate, created the gardens between 1780 and 1914. But the First World War brought ruin - 16 of the 22 estate workers were killed, and new tenants after the war could not afford to maintain the grounds. But the careful restoration has restored this treasure, exotic fruit trees, tree ferns and palms. 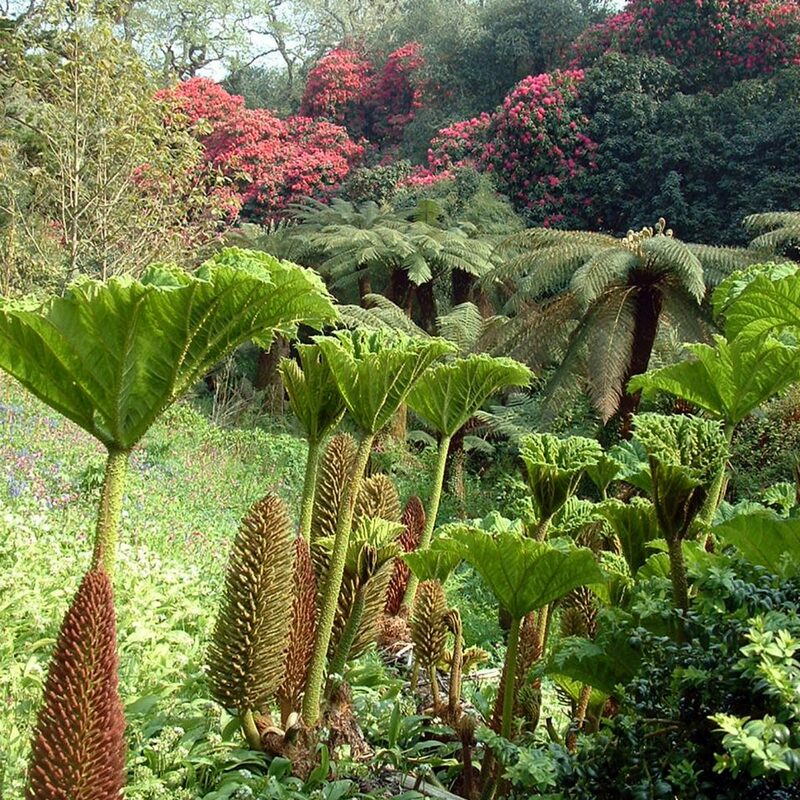 In 1998, Heligan welcomed more than 290,000 visitors making it the most visited private garden in Britain.